Learning how to be consistent is the best way to achieve long-term greatness in anything you do – from taking care of your health, your network marketing business or your relationships. However, learning how to be consistent is also the one thing that we humans have the most difficult time perfecting! It is most difficult when we are trying to improve something in our life. Unfortunately, we have no choice but to learn to be consistent in anything we do. In network marketing, consistency translates into making more money and creating the life you really want! Here are just a few simple steps to learn if you want to improve an aspect in your life and become more consistent with anything you do. Set time aside for actions that will get you further in your career or your personal life. Those goals are definitely worth working on. The rewards are huge and you will never be disappointed. 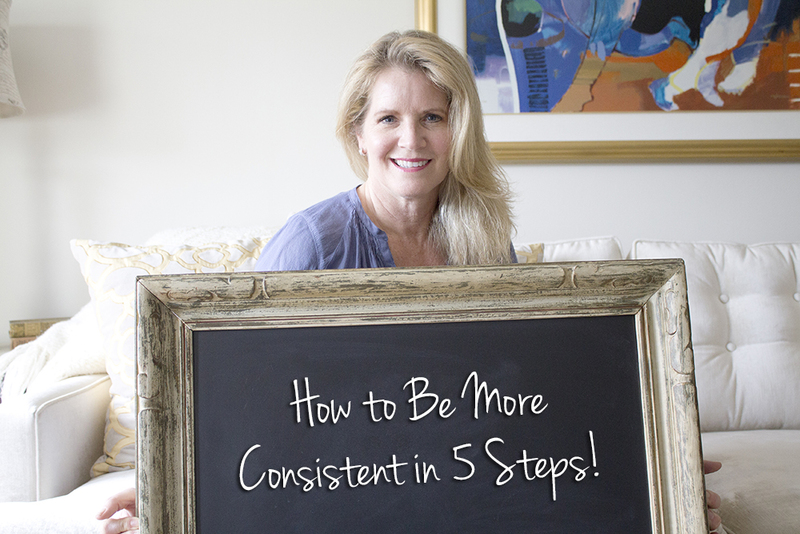 Here are five steps to learn how to be more consistent. 1. Remember to keep THE WHY you are trying to achieve your goals if you are going to stay connected to what you are doing. It is very important if you are going to have a clear compelling vision of what you’re trying to achieve and know why you want to. VISUALIZE the house you want, the car you wish to drive, the life you want for you and your family. This will fuel your fire. I am a big fan of dream boards. I have a dream board for every major area of my life. One of these days I am going to create a video showing you my dream boards that I created years ago and show you what has come true from those visions. 2. Do not make a generalized plan to “be more consistent.” It is important to pick your battles carefully. Just pick one or two things that you want to work on and stick with it. It is just a common fact that all of us have a limited capacity when it comes to will power and discipline. For example, a doctor or therapist will recommend that you don’t try to quit something like consuming sweets and drinking at the same time – otherwise you might fail at both. Instead, try to be more consistent with JUST ONE particular aspect of your life, like making more prospect phone calls. Setting specific goals will give you something to strive for. We just can’t achieve everything at once otherwise we will overwhelm ourselves. 3. It is important that you create space in your schedule to work on your goals. Stephen Covey, the highly regarded author of the best-selling “7 Habits of Highly Effective People” once said, “Don’t prioritize your schedule, schedule your priorities.” That distinction may be subtle, but it is also very important. If you are trying to make a specific activity or trait more consistent in your life, you have to build your whole life around it rather then trying to fit it in your normal daily schedule. For example, if you are trying to to build your network marketing business, it is important to set aside a few hours or more each day to do so. None of us think we have enough time, yet we do find time for the most important things. If you aren’t getting to something, it may be because you haven’t decided that it is really important to you. 4. You have to improve your willpower and ignore your feelings. That is, you need to ignore that voice in your head that says: “I don’t feel like it!” Anytime you are trying to be consistent at something that is important to you, you will sometimes hear that little voice. You have to train yourself to overpower that voice in your head if you want to learn how to be consistent. You just cannot be consistent without improving your willpower and remembering that you have to practice whatever it is you are trying to improve over and over again, even if you don’t feel like it. It is also important to ignore the negative voices inside your head. You know, those voices that say: “I can’t do this,” or “I can’t seem to stick with this!” or “I’m too lazy!” Just keep working on it and you will get better. Remember, that it is okay if the changes are occurring slowly – it is impossible to be perfect at everything. One of the biggest mistakes we make in our network marketing business is not giving it enough time – both short term time and long term time. You have to carve out the time and decide it is unconditional. Generating leads online can be a huge part of building your network marketing business today, but what happens once you have generated lots of amazing leads? What are you doing with the leads? It’s all in the follow up. How you handle and nurture these budding relationships will be a huge indicator of your business’ success. It is easy to do. I cleaned up my desk area last night and came across a file with leads that never quite got attended to. Anybody else have that stack or file? When I first started in the network marketing industry, social media played a very small role. I did things the traditional way and was admittedly very resistant to adopt social media into my lead generation model. In fact, I went into Facebook kicking and screaming. I just didn’t get it at first and my wonderful assistant, Anne at the time said “Hang in there for 6 months and you will wonder how you lived without it.” Once I took the time to learn about the social media platforms, I realized what a HUGE asset they are. I have been able to reach a much larger audience and make connections all over the world. So what’s the best way to follow up with online leads? In this blog post, I share my best tips for maintaining online leads. A large part of my business is building online and through trial and error, I have come up with a few pointers that will help you learn faster. First thing first….I would highly recommend reading my blog post on HOW to generate leads online. This will give you great insight into some best practices that will generate leads. As outlined in that blog post, the most important step is building rapport. If you want to reach out to online leads, get to know something about them. Spend time looking over their Facebook pages and posts to see what they are interested in. Pick something you both have in common and leave a nice comment or message. Once you have made a connection, wait until the time is right and offer a tool, like a before and after image for example. Never just send a link. Sending just the link is aggressive and often a huge turn off. People are MUCH more inclined to listen to you and engage with you and join you if the sale is softer. Be genuine. Build a relationship and find out what their needs are so you can provide solutions. Get to know their “why”. The strongest team members are the ones who are passionate and motivated. Also, if you know what they need, you will know if your business is the right fit for them. When they have questions, you will have the right answers. After they have had time to review and you have had some social rapport back and forth, reach out to them again, send another tool or a link this time. Using this softer and more personal approach works! Be Attentive to Your Online Leads! Make yourself available and be personal. If your lead has a question, best to answer promptly. Check your social media accounts often. People may reach out in a number of ways and you want to make sure you know what they will be. You will build your team much quicker by being active online. If someone feels supported, he or she will be more likely work with you. If you want to build a social media presence, it’s like anything – the consistency of the activities will make the difference. One sure fire way to make sure you never miss a follow up is using an online calendar or online to do list. I use Toodledo to schedule reminders to follow up with leads. You can include notes as well, so make sure you leave yourself as much information as you can. Then you will have everything you need for your next meeting. The stats are most of us need to hear about something 5 to 7 times before we say yes and 80% of us give up after the first no or we don’t follow up and check in with them. Keep this in mind: you never know what has changed in someone’s life that makes now a better time to see what you have to offer them. Make it fun. When you check in with them down the road, say things like “It’s your monthly call. Just checking to see if you want to say yes to trying my products now…” I have had people who realized that I really meant this and got a kick out of my follow-up and finally said yes. You don’t want to be a pest but the truth is the vast majority of us never get close to being pests in our follow-up. 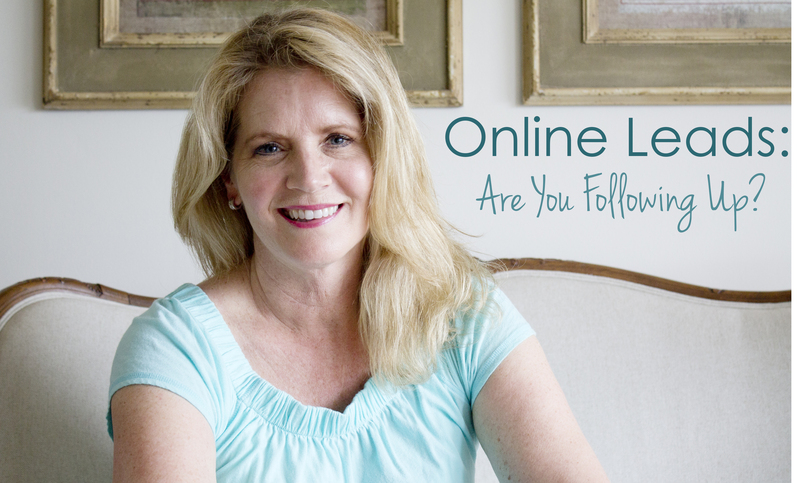 I hope this blog post helped you understand the importance of following up with online leads! Social media can be a great tool for your business. Now that you know what to do with all of your leads, you are right on track to building an amazing team. One of the amazing benefits of the network marketing industry is the lifestyle we get to live. We are fortunate to have flexible schedules and a lot of opportunity to earn vacations. But think about this…How many successful network marketers do you know who still can’t make ends meet? This is why financial literacy is so important for network marketers! When people start making money, they often do not invest or prepare for the future. Want to set yourself up for success? Educate yourself about money. 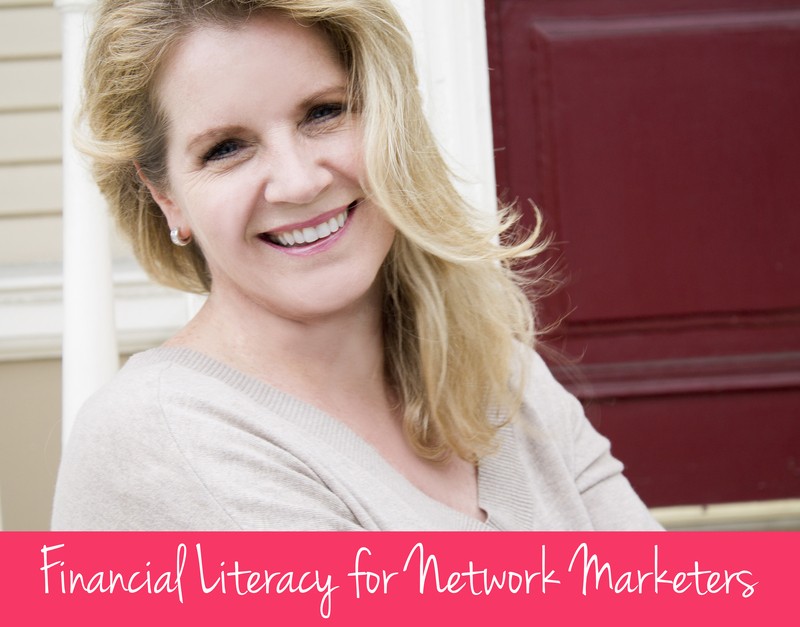 Financial literacy for Network Marketers is something I have been passionate about teaching for a long time. You will hear more about this in the months to come! Did you know 46% of all American workers have less than $10,000 saved for retirement? I recently spoke about financial literacy at Eric and Marina Worre’s Top Most Powerful Women in Network Marketing event. It was an honor to be one of the 20 speakers! When I was researching data, I was completely shocked to see the numbers about retirement. Did you know 46% of all American workers have less than $10,000 saved for retirement? And that 50 year olds and above have less than $50,000 in their retirement funds? That is insane! Would you like to learn how to better manage your money? How would it feel if you could live now and retire later stress free? Well, I have learned the rules of the money game. I have been studying how to make money and how to take care of that money for about 15 years. I have read countless books on this subject and have attended many wealth building workshops. I came to network marketing via a successful corporate career for over 20 years and woke up in my 40’s just wanting more and different. I set on the path to become an entrepreneur and to create wealth. Network Marketing found me in my late 40’s and in my 9 plus years in the profession I have only worked with two companies and have achieved the 7 figure income earner level in about 2 years. So I guess I can say I know something about how this works! But at the end of the day, if you are spending more than you make, then you are still broke. I am on a mission to help network marketers get smart about the money they make! Now is not the time to feel badly about what you do or don’t know about money. We still don’t teach financial literacy in schools. Children receive little to no education on managing money even today! Some of us are fortunate to learn it from our parents, but in general, it is something we are left to figure out along the way. This presents a problem because the earlier you start saving for your future the better. What was the money language in your childhood home? Do you remember how your parents talked about money? Was it a stressful topic? For most of us, it was and still is. 76% of households today are living paycheck to paycheck. What gets talked about a lot in network marketing is how to SPEND your money. Many of our company cultures are about lavish lifestyles which is great and which is fun – as long as the money continues. If you’re making $100,000 a year and you are spending $110,000 a year – you are still broke! I want to add to the conversation being smart with your money. I decided as a young girl I never wanted to worry about money. My parents had 9 kids and it was a struggle. I decided as a working professional in my 40’s I wanted to become wealthy and not have to deal with financial stress like my parents did. It starts with a decision. That is all it is – a decision that you want more and better. Reading changed my life. I love “Think and Grow Rich” and “Rich Dad, Poor Dad”. These are two books that totally changed how I viewed money and how to acquire it. I also love Tony Robbins new book: “Money: Master the Game”. It isn’t just how much you make, it is also how much you keep. I know many million dollar income earners who are broke because they spent more than they made. Living within your means is a huge accomplishment. Most of us don’t know all the advantages of a home based business. Most of us don’t know how to keep the records you need for tax purposes. Most of us don’t know you can live your life like a business and write off meals, gas, travel, meetings and a home office. Understanding this can help you start building a savings for your future! Use financial literacy to your advantage. So what are some Easy Habits you can Create? Set aside 6 months minimum living expenses for “peace of mind”. Start funding your retirement early! Get good financial advice – it is worth paying for! It’s never too late! Use this information and more to come to make an investment in yourself and your future. Share the wealth and give this information to your team as well. Cheers to a successful life now and retirement later!